"He owns a piece of a Bud distributorship." LOS ANGELES -- No, Anheuser-Busch didn't pay Peyton Manning to say he'd be drinking a lot of Budweiser after winning the Super Bowl. According to Apex Marketing Group, Manning's two mentions of Budweiser after Sunday night's game were worth about $13.9 million (C$19.3 million). Asked by a CBS reporter after the Super Bowl if this was the last game of his career, Manning said, "I'm going to drink a lot of Budweiser tonight, Tracy, I promise you that." He mentioned the beer again by name at the winner's podium. Then why use his precious seconds on the third-highest rated show in U.S. television history to call out a beer brand? 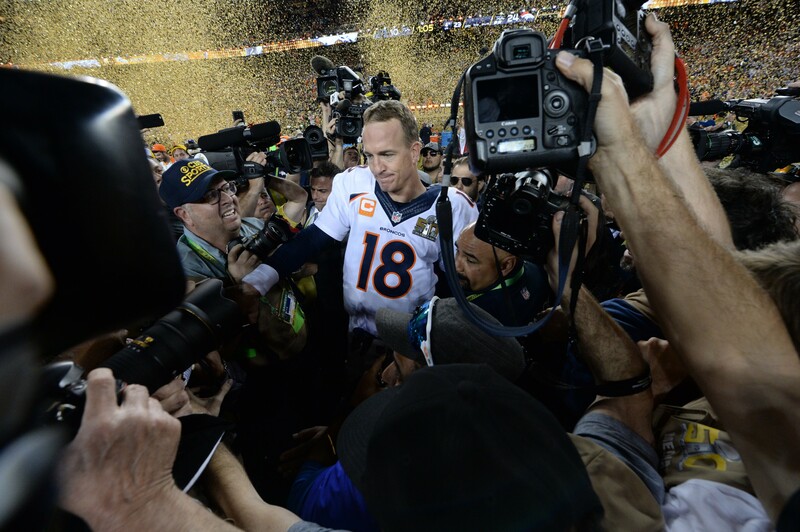 Manning also celebrated the win atop a float at Disneyland in Anaheim, California, on Monday. A Disneyland spokesman declined to comment on whether Manning was paid for the trip.